When Peter Guinosso first started doing yoga in his thirties, it was to soothe, stretch, and strengthen the joints and muscles he had overtaxed throughout a life packed with sports. You name it, Guinosso had played it or done it: football, soccer, baseball, wrestling, swimming, mountain-biking, snowboarding, and long-distance running. He had heard that yoga could ease out the kinks. Asked how he enjoyed it three months after his first lesson, Guinosso said, "It's a great workout." But what he was doing for his body was also quietly and unexpectedly transforming his mind. "Little by little, I found myself exploring the spiritual aspects of yoga," Guinosso said. "This surprised me, because my background is in biology and I was somewhat of an agnostic. I had gone through twelve years of Catholic school, which left me dismayed with religion" — not in principle, but in the hypocrisy of a world that seemed unwilling to practice what it preached, he said. "Six months after starting yoga, I realized that I was feeling a lot calmer, and that I had no more issues with people cutting me off in traffic. I had become more centered and much more compassionate. 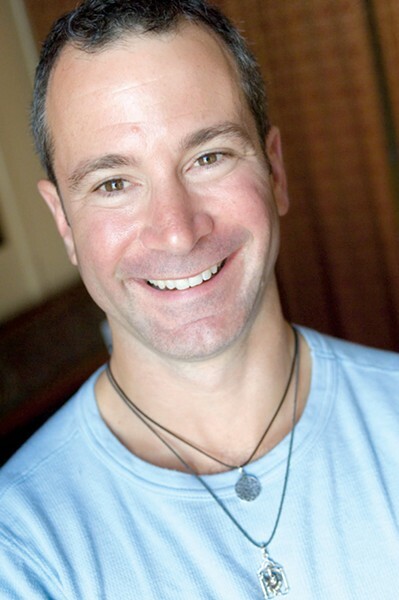 In situations that previously would have led to arguments, I found myself taking deep breaths and shifting those relationships for the better," said the Berkeley yogi, whose "40 Day Challenge" course — co-taught with Michelle Cordero and aimed at replacing bad habits with good ones — begins at Namaste Grand Lake (3229 Lakeshore Ave., Oakland) on Saturday, February 5. Each of the course's seven two-hour sessions follows a different theme, which is reinforced with discussion, seated meditation, journaling, appropriate yoga poses, and a specific dietary objective. The first week's theme is "presence, so that we can learn to become more present in living every moment." The second week's theme is vitality. The third week's theme is equanimity — "and that's the week when we give up sugar. Giving up your daily sugar fix is a great way to practice equanimity," said Guinosso, who admittedly prefers salty treats to sweet ones. This is the seventh time he's taught the course. While each week's theme is universal, the course is highly personal for participants as they view their own life stories and find their own truths through each of the themes. Keeping a "diet diary" of all foods eaten throughout the course's forty days can be startlingly revealing, Guinosso said: "How we eat, along with how we practice yoga, are metaphors for how we approach our lives. Are you making choices that are life-depleting rather than life-giving? Are you eating processed foods or vital foods? How were you conditioned to do this? You start noticing trends."